To commemorate 50 years of the Kununurra Amateur Race Club, in August 2017 a new collection has been placed online, the "K.A.R.C. Scrapbook" (1967-1976), which is part of a larger collection donated to KHS by Ross Barrett in 2002. This collection was uploaded in stages from 1976 back to the final inaugural year, 1967 which now completes this online collection. You can view all from here as a slide-show. Use the '4 cornered' gadget at bottom right to go full screen and from there you can use 'Show Info' to toggle information for each image. It has been found that the Slideshow does not work with Firefox but will with Internet Explorer, so if you see a blank space below, try viewing with Internet Explorer. Enjoy! Read on below for more Kununurra Museum News. It has been a very busy few months, with numbers of past residents returning, and other interesting people enjoying their time at the Museum, where time is spent finding information for former residents and getting down their family information and contact details, often resulting in new collections, as well as enjoying the extensive histories, artefacts, displays of objects and the multi-screen date-sorted slideshows at the Kununurra Museum. In June an amazing new addition to collections was brought into the Kununurra Museum after the discovery last year by a grader operator while he was out grading a fenceline on part of Carlton Hill Station (formerly Ningbing Station), when in bush adjacent to the fence-line he came across the remains of the tail-plane from ('our') CAC 12 Squadron Wirraway A20-62. 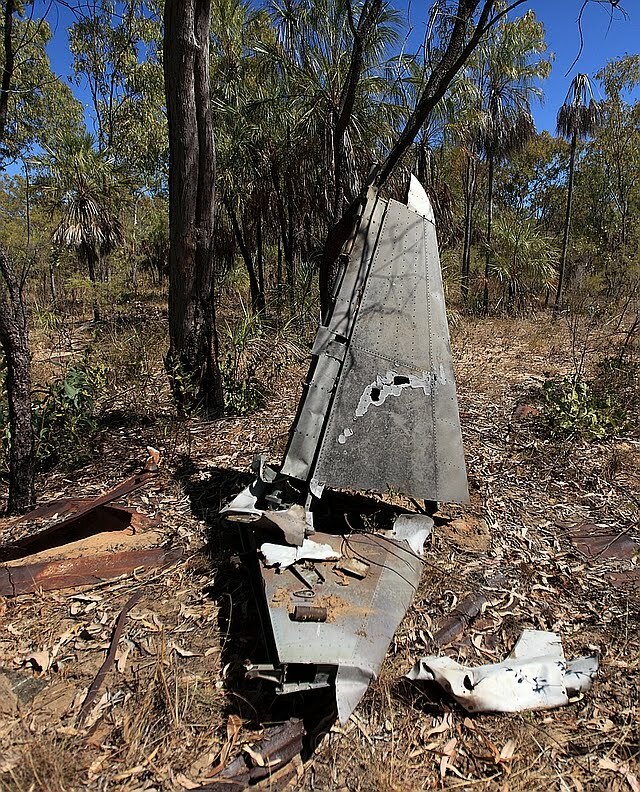 Wonder if anyone out there might recall other details about the Wirraway tail-plane or other remains, which would be most welcome. It would appear that the remains of the tail-plane must have been removed from the site of the March 20th 1942 forced landing on coastal saltmarsh just five kilometres inside WA from the WA-NT border, at least as far back as the 1980s, as it is not in photographs of the site in the mid to late 1980s. Undoubtedly the salvage by persons unknown, back some time between 1942 and the 1980s, then subsequent abandonment in the bush has saved the tail-plane remnants from the ravages of the coastal saltmarsh. Embedded below is the 8 Part DV about Wirraway A20-62 for those interested to know more. 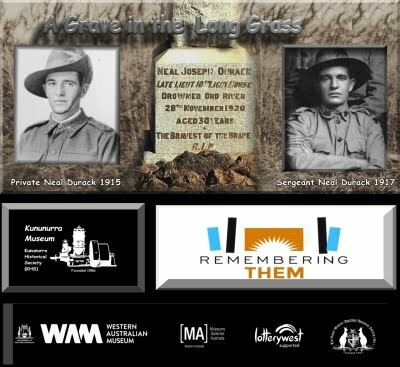 A post to social media (fb) on June 16th on an interview with Vanessa Mills of ABC Kimberley, about Operation Ord Noah and the Henry Hall collection, had a link to the web page that ABC made using some of the Operation Ord Noah photographs which linked back to the collections (http://www.abc.net.au/news/2017-06-16/wildlife-rescue-photos-from-lake-argyle-ord-river-dam-emerge/8621802), was automatically shared to other social media. Several retweets and shares later gave us our largest ever one day tally for KHS collection photo views on the Flickr platform, with 66,145 views which took us over 2.25 million views and tripled the previous one day total, set the month before on May 15th 2017 with 21,099 image view, a boost after the same Ord Noah Henry Hall collection was first placed online. 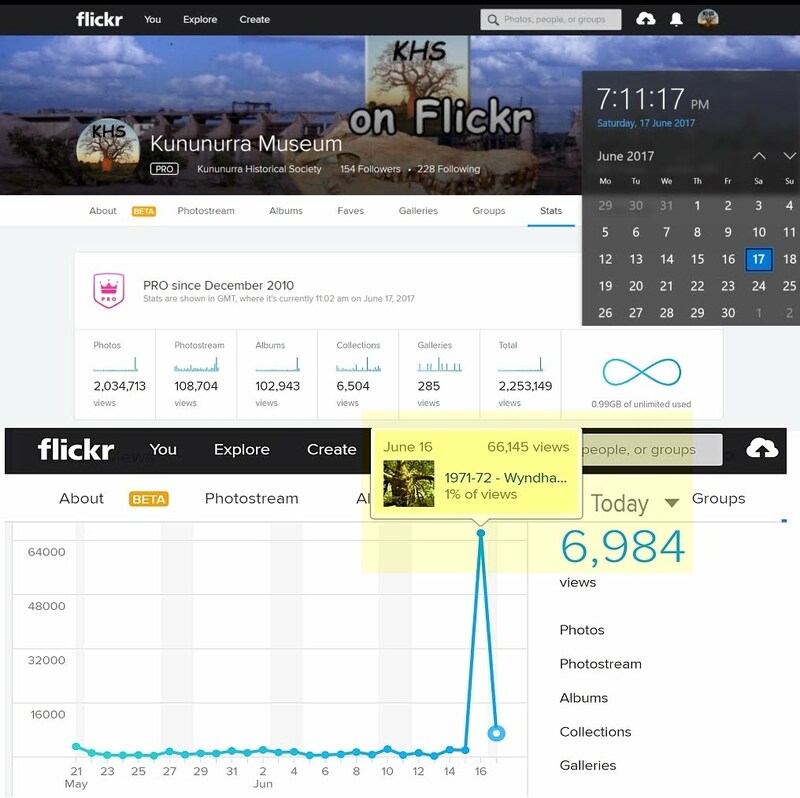 We normally average around 1000 views per day of KHS photographs on Flickr, so this is many times more than normal. The Ord Noah publicity led a journalist writing it up for the Daily Mail UK and posting the following article online, which makes use (with permissions) of quite a number of the photographs.